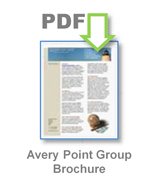 The Avery Point Group is a global executive recruiting and search firm that assists companies in identifying, assessing and recruiting mid-level management to senior executive Lean & Six Sigma talent. Our firm leverages its principals’ decades of executive Lean & Six Sigma operations and staffing experience to provide the highest quality retained & contingent executive search services. Our practice services a wide spectrum of industries, spanning manufacturing, distribution and service-based companies globally. With our Lean & Six Sigma approach, experience and global perspective, we stand out from other executive search firms and add significant value for our clients in their search for leadership talent. Our Lean & Six Sigma Approach: Search excellence starts with the sound foundation of a well defined and consistent search methodology. 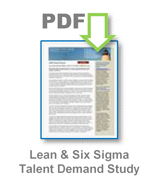 Our process incorporates a unique Lean & Six Sigma approach to filling our clients’ staffing needs. Each phase of our process is designed to move the search process along efficiently and effectively, thus enabling us to exceed our clients’ expectations and requirements. Our Experience: With our team’s decades of Lean & Six Sigma operations experience, we are uniquely qualified to help our clients find, assess and recruit leadership talent. Our key principals have held senior-level director, VP and Six Sigma positions in manufacturing, distribution and service-based Fortune 500 companies. Our principals are Six Sigma Master Black Belt and Lean trained by globally recognized industry leading companies and have real-world, practical experience in their application. We speak the language of our clients and candidates. Our Global Perspective: Our key principals have managed global operations and led key Lean & Six Sigma initiatives in Eastern Europe, Western Europe, Latin America and throughout Asia. Our principals, with their global perspective, understand what it takes to find, assess and recruit talent for companies to succeed in today’s global economy. How Critical is the Right Continuous Improvement Talent? According to a leading business magazine study, only 2% of plants have reached world-class manufacturing performance, with an additional 23% making significant progress toward this enviable status. The common theme found among these superior operations was a fully implemented and effective continuous improvement methodology. We provide both a contingent and retained search focus with functional expertise in the areas of Six Sigma, Lean, and operational excellence. Our practice services a wide spectrum of industries, spanning manufacturing, distribution and service-based companies on a global basis. Leverage our principals’ decades of executive operations & staffing experience. 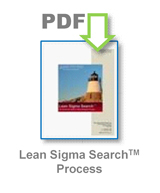 Leverage our Lean Sigma Search™ process to find the ideal candidate. Fee is based on a percentage of the candidate’s first year’s total compensation. Leverage our principals’ decades of executive operations and staffing experience. Client site visit to gain improved insight into company culture = improved candidate fit. At a minimum, 3 - 4 candidates meeting our clients’ requirements will be presented in 60 days. One-third of the estimated fee is paid up front to engage our search services.